Individually adaptable to any monitoring task, the modular Drager Regard control system is suitable for SIL 2 systems, the Regard system is also ATEX approved and meets the EMC directive standards. The Drager Regard control system is infinitely flexible and has been tried and tested thousands of times. 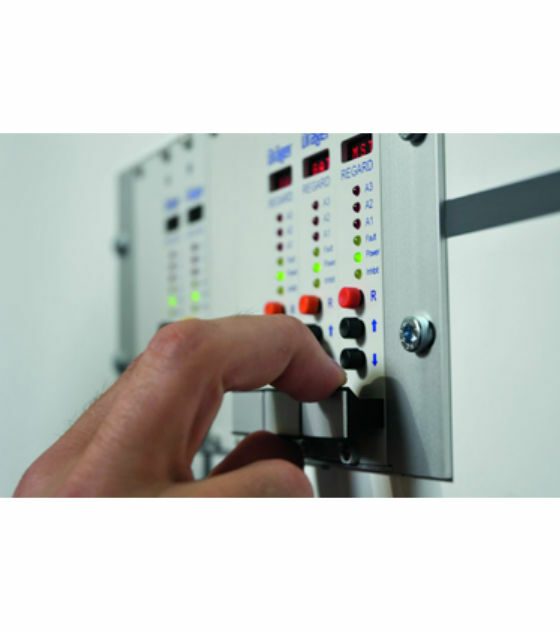 Individually adaptable to any monitoring task, the modular Drager Regard control system is suitable for SIL 2 systems, the Regard system is also ATEX approved and meets the EMC directive standards. A clear system structure is essential and is achieved by the modular construction of the Drager Regard control system. Configuration of the system can be carried out manually through each individual card, as a whole or in groups through the master card, or for even more ease of use, via a USB connection to PC or laptop. The configuration can be saved, compared to find changes or conflicts, or reverted to original configured state. The Drager Regard control system can be adjusted to individual requirements. Conventional single-channel card systems are possible as well as multi-channel systems with markedly reduced installation costs. The visualisation of measured values and alarm states on a PC with the information transfer via Modbus can also be realised, as well as the integration in process control systems via the Profibus module. 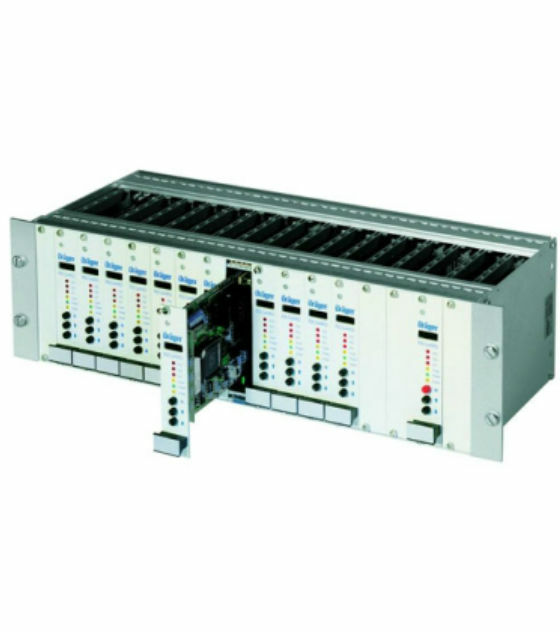 Single-channel and multi-channel cards are part of the Drager Regard control system product family, along with input and relay modules for mounting on DIN rails and communication cards and communication modules for linking with a PC or higher-ranking systems. Furthermore, there is the option to connect 4-20-mA transmitters, digitally communicating HART transmitters and Polytron-SE-Ex sensing heads. The LEDs on the front plate of the cards provide information on alarm status and failure status. A display will show the current measured value. Measured values and alarm status can be transferred to linked systems via Modbus or Profibus. With more than 240,000 Regard inputs/outputs worldwide it is a well established system.